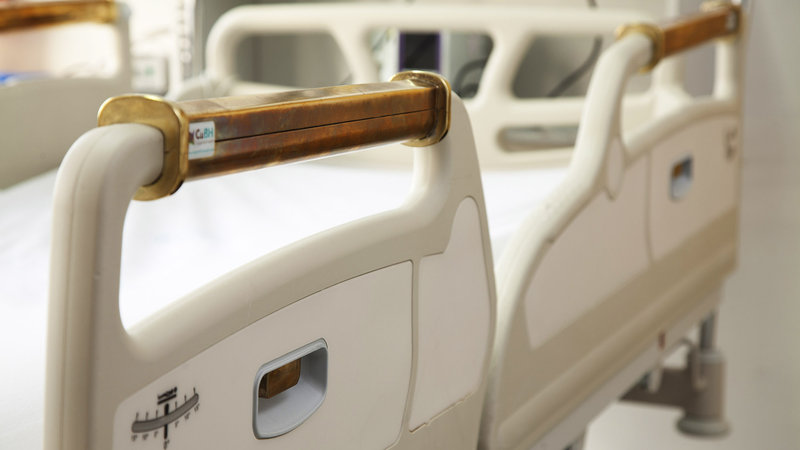 When you check into a hospital your risk of infection rises, and research suggests a major source for these infections are the safety railings on hospital beds. Researchers in Santiago Chile think they have a solution: Replace the usual bedrails with copper ones, which have anti-microbial properties. Copper definitely wipes out microbes. "Bacteria, yeasts and viruses are rapidly killed on metallic copper surfaces, and the term "contact killing" has been coined for this process," wrote the authors of an article on copper in Applied and Environmental Microbiology. That knowledge has been around a very long time. The journal article cites an Egyptian medical text, written around 2600-2000 B.C., that cites the use of copper to sterilize chest wounds and drinking water. [Industrial Engineer Constanza] Correa's startup, Copper BioHealth, has not yet assessed the railings' impact in Chilean hospitals. But a study of the effects of copper-alloy surfaces in U.S. hospitals' intensive care units, published last year in Infection Control and Hospital Epidemiology, showed promising results: Their presence reduced the number of healthcare-acquired infections from 8.1 percent in regular rooms to 3.4 percent in the copper rooms. That sounds like a pretty big improvement to us. And according to Correa, copper bedrails are just the first step. "There are a lot of options for how to incorporate copper... You can have copper IV poles, feeding tables, night tables, even mattress covers." How can a small piece of copper prevent you from getting pregnant?